Training organized by ELCIM at IRI premises on December 14-2016 under the topic “nergy Efficiency in Building Design. 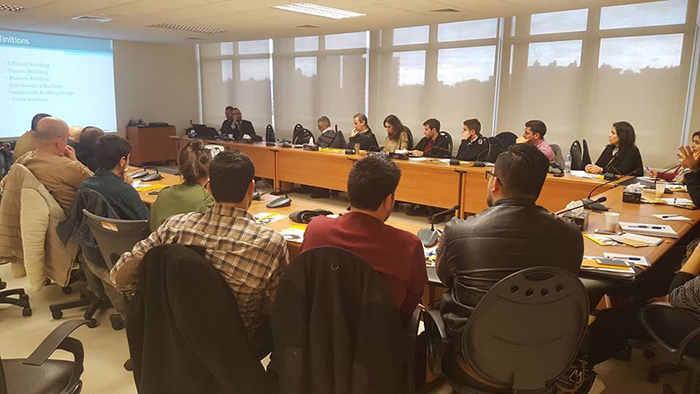 The training delivered by Dr.Talal Salem and Dr.Elias Kinab gathered around 40 Architects and Engineers. The Aim of this training was how to create energy and financial savings by reducing energy consumption as well as Reducing CO2 emissions produced by buildings, assessing current energy consumption and create action plan on how to reduce this consumption.